Have you ever wanted the best of the best in anything? I'm sure yes would be your answer, I mean... pretty much anyone you could ask would gladly tell you a "Yes!". 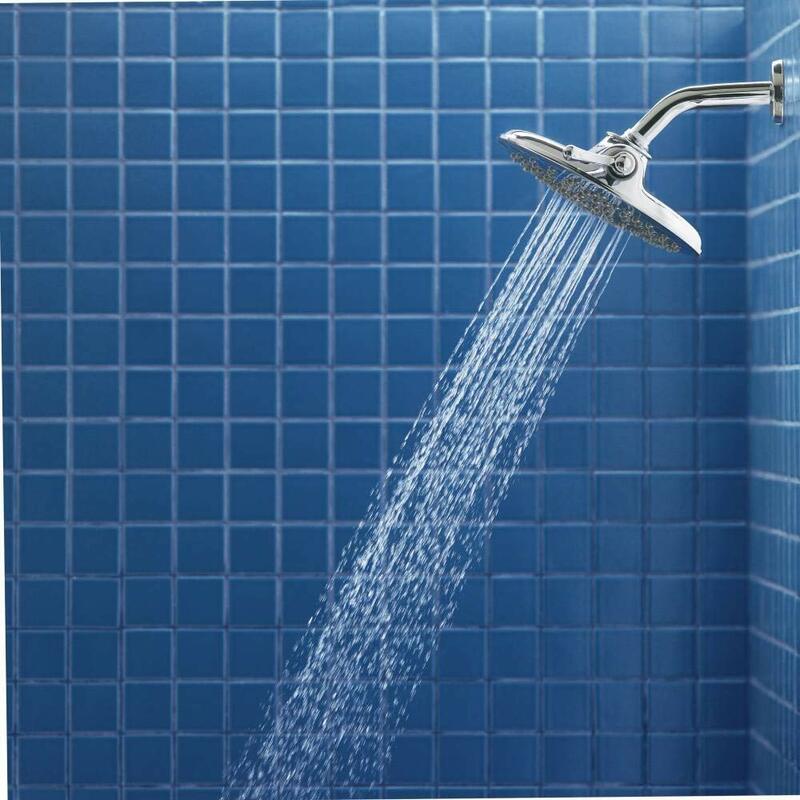 Have you ever wanted the top tier rainfall shower head for your bathroom? If you are shopping right now for one, the answer is likely yes, but you may want to hold back on how much you'd be willing to spend. 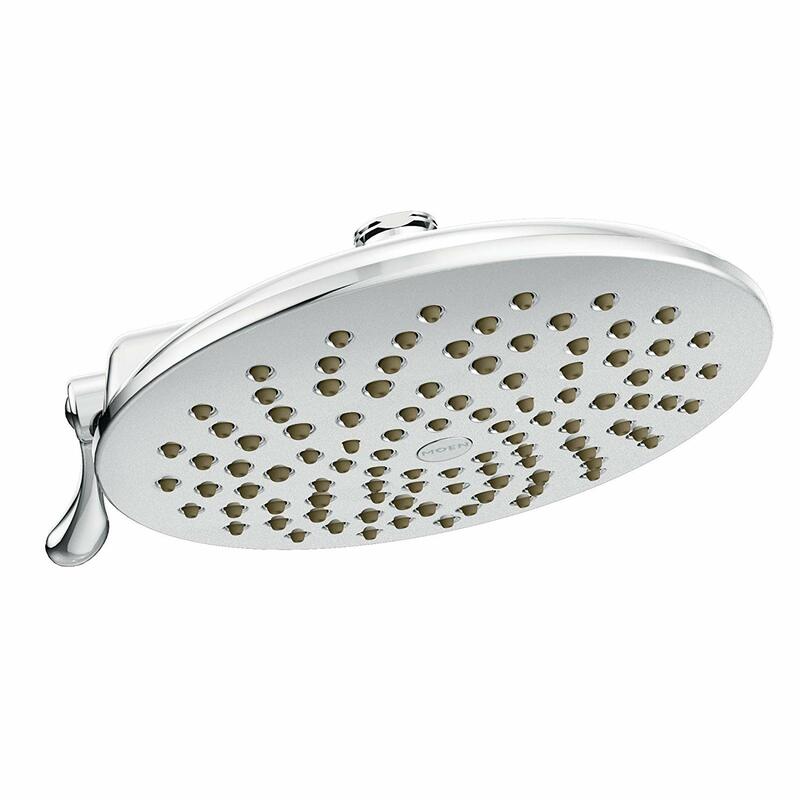 What if I told you that a good shower head is money well spent, in fact with the Moen S6320 Velocity it's without a doubt, money well spent. This shower head in particular caught my eye when I was doing research for my own. While one thing that turned me off about it (talk about it below), everything else was screaming "Heck Yes" and buy. I went ahead and did. As you continue reading the detailed Moen S6320 Velocity review, you'll clearly understand why spending an extra bit of money, could be the payoff you'd be looking for. Let dive into it! Want To See More Rain Shower Heads? Before I actually decided to get this shower head, I went into the specification and learned all its associated features. What I'll be explaining to you below is all features that I found to be very useful to me, and hopefully to you also. 2.5 GPM Flow Rate: Who likes good water flow? I bet you do, and this thing got some. With the flow restrictor removed, you can get upwards of 2.5 gallons per minute. There's a special technology that Moen uses to enhance water pressure even when there's some absence of existing water pressure from the pipes. Get it if you enjoy good water flow! Comes in 4 Different Colors: Most common color you'll find in anything bathroom related is silver, and for the most part... you can't go wrong, it's a neutral, unisex color that most would be just fine with. However, Moen takes it a step further, you get not just silver but also Brushed Gold, Brushed Nickel and Old-Ribber Bronze. The colors look as different from each other as you'd expect, it's an added bonus most of the thing is made of metal. 8" Inch in Diameter: When you look at this unit, you'll notice it has a 8" inch head. While this may seem like it won't produce wide body coverage, you'd be incorrect. From the 8" inches, the angles of the spraying nozzles, they go outward a slight bit giving off a wider coverage. This would be ideal if you are larger person. 2 Adjustable Spray Modes: For most of us, we hardly ever switch between more than 2 different settings. I think Moen has realized it, and simplified their shower head. The S6320 enabled only two spraying functions, to give what you probably would be using the most. There's the mid-power rain shower and there's the concentrate narrow spray. Keeping it simple, that's how Moen does it! Immersion Technology: This may sound complicating, but it really isn't. You see, Moens Immersion Technology works like this: when water is first sent into the shower head, it collects into a circle and builds up pressure, from there it is channeled into each individual nozzle to give you constant pressure, throughout the whole shower head. In a nutshell, it pressurizes water before it leaves the unit, giving you instant response high pressure. Mostly Made of Metal: For the price, you can bet you are getting more than just "hard plastic". In this case, the Moen S6320 is made of almost all metal (with the exception of a few parts). That's saying it will last you MUCH longer than anticipated. For me personally, its greater peace of mind. With all those wonderful features I just mentioned, what are the advantages to YOU the user. It's an important thin to know, so what I'll do is dive into only the crucial ones. Good Quality That Will Last for Years: What I mentioned earlier is this shower heads build quality, mostly metal. This may be easily overlooked but not when you pay the price tag of around 180 dollars. While this is definitely an investment, you can rest assured that the mostly used parts of this product won't simply break from use, metal is meant for quality. You can feel it inside the head of the shower in addition to the dual mode lever that lets you switch between multiple spray settings. It's A Simple Minded Shower Head: Simplicity is beautiful, and with Moen's S6320 you can see it in both visual and functional aspects. One thing I found to be a major advantage to everyone is how simple it is to use. Installation is straightforward and when water is running, it produces a perfect stream of water. Simply switch the lever, and you are using a different function. Switch it back, you're at square one again. The simplicity is another highlight! Wonderful Rainfall Experience: This was the #1 most recommended shower head on our list of top rain shower heads. When it comes to doing one thing very well, it would be producing a pleasant rainfall feeling when you select the appropriate mode. With its Immersion Technology, water delivery is simply amazing. Coverage is great, along with matching rain-like pressure from each nozzle. This is by far the most recommended unit for mimicking rain showers. This shower head is by no means perfect, but its better than many others. Here's what I don't think will benefit you. Price Tag: That is by far the most unattractive things about the shower head. With a price tag of around 180 dollars, its more expensive than most people would spend on such things. In addition to that, with its different colors available... you better believe the price goes up even more, with all the other colors costing more than 200 dollars. So what do you thin of the Moen S6320 rainfall shower head? I hope you liked it because I truly thing this has to be one of the best on the market today. While it isn't priced friendly to all, it has the characteristics which good quality products typically have, those characteristics are: good quality and delivering on the promise of what it is intended to do. Would you like to see more reviews of these shower heads that produce rainfall? If so, consider checking out the full buyer's guide here that will compare not only this one but at least a dozen others. When you know how this one stacks up against its competitors, then you'll personally know where THIS ONE stands.